After no small delay, the third of 2017-18’s audio versions of H.G. Wells’s The War of the Worlds is finally out. 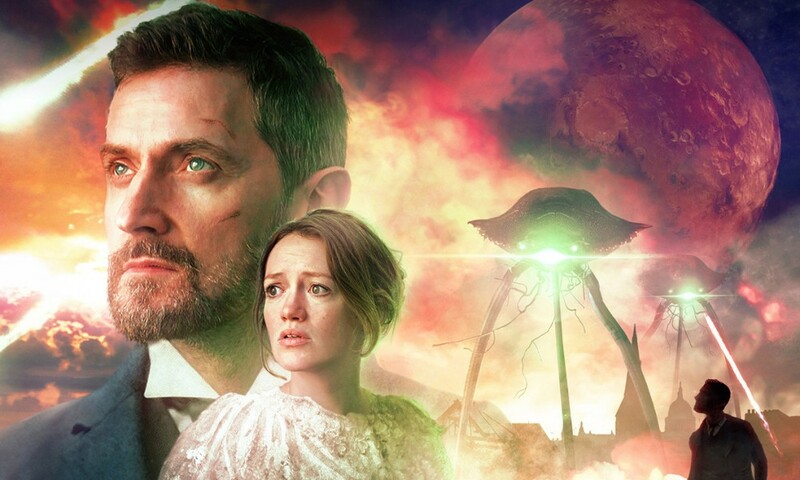 Like BBC Radio 4’s adaptation and Big Finish’s The Martian Invasion of Earth, Sherwood Sound’s The Coming of the Martians is set during the Victorian era, and makes a claim to faithfulness to the original text. Sherwood Studios is a new-ish independent audio company, but the cast and crew include many names familiar to Big Finish aficionados: producer and sound designer Martin Johnson did the sound design on a number of Doctor Who and Bernice Summerfield stories, most notably UNIT: Dominion; writer Nick Scovell acted in a couple of early main range stories and wrote an instalment of Forty-Five; director Lisa Bowerman needs no introduction to fans of Bernice Summerfield, Jago & Litefoot, or The Companion Chronicles; and the cast includes actors such as Ronald Pickup, Dan Starkey, Olivia Poulet, and Stephen Critchlow. 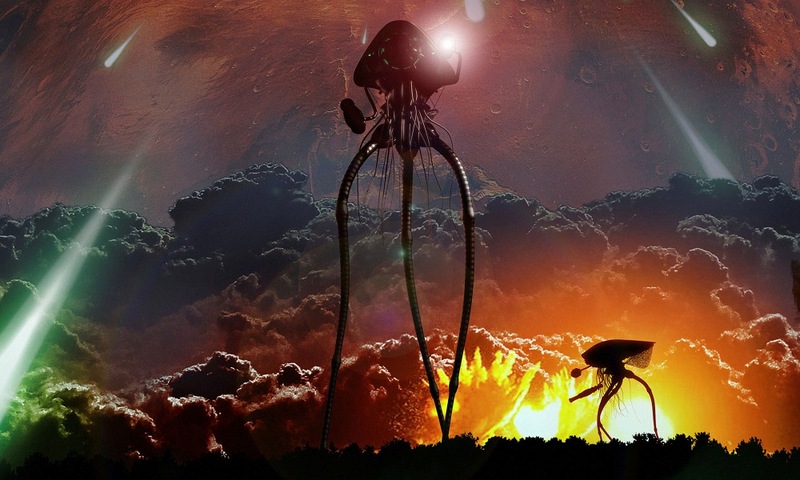 I have a lot of opinions on War of the Worlds adaptations; The Coming of the Martians provides less avenue for discussion than most, because it really is pretty straight. The main change is that Scovell makes the story un-narrated, following Martin Johnson’s style of a “cinematic” audio drama. This means that the audio loses the novel’s excellent opening lines; also in parts where the narrator* is by himself, the story has to make some awkward moves to make the action clear. 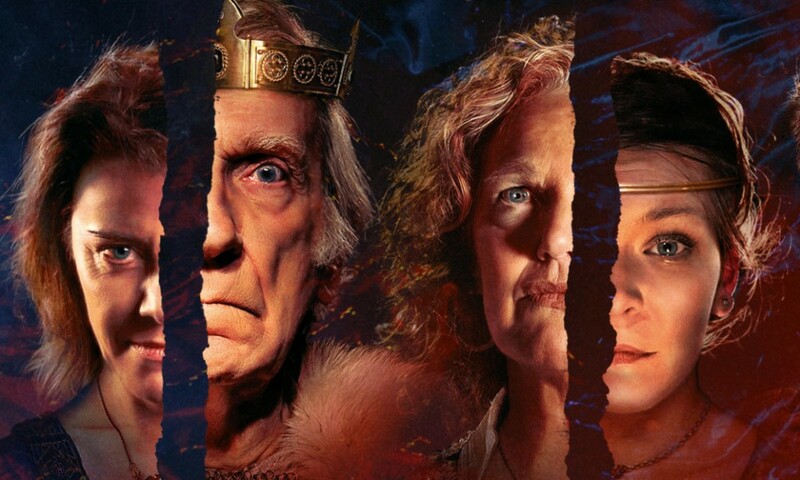 But in terms of the action, this is pretty much beat-by-beat the plot of the novel, unlike the weird second acts of the Big Finish and BBC versions. This is where the audio works best. Martin Johnson’s sound design is epic and immersive; his soundscapes of Martian tripods striding across Victorian Britain let you feel the power and the destruction. Colin Morgan does a good job in what is (honestly) the not-too-exciting role of the narrator, as he slowly loses his grip as the world he knows slowly slips away. Ron Pickup does a good job as the obnoxious, snivelling curate that the narrator is trapped with in what for me has always been one of the key sequences of the novel. Nigel Lindsay also does a great job as the artilleryman the narrator runs into three separate times — who by the last time has gone down some weird, objectionable philosophical turns. The sense of despair and isolation of the Martianified Earth is communicated well. The Big Finish version I felt was rushed in its second part, but did a great job in the first; The Coming of the Martians has the reverse problem, rushing the story’s first part to get to the second. A big part of the enjoyment of the story (for me) is the way Wells draws out the landing of the Martian cylinder and people’s reactions to it. Scovell’s adaptation moves too quickly through all that to generate suspense. The Martians have launched their attack in earnest by about 20 minutes in, which is a bit too fast. The adaptation as a whole is about 90 minutes long; I know it’s a short novel, but I think it could have been done with a bit more time than that to really drive home the atmosphere. On the one hand, it seems weird that we got three audio versions of The War of the Worlds in a 16-month period. On the other hand, I’m kind of glad we did. No two versions did the same thing. Nick Briggs’s Big Finish version expanded the role of the narrator’s wife into that of a co-adventurer, while Melissa Murray’s BBC take explored some of the darker sides of the Victorian concept of purity. The Coming of the Martians complements them both by giving us a more “faithful” version of the novel, with all the pluses and minuses that entails. Listen to all three together, and you start to get a sense of the infinite ways that H.G. Wells’s original story worked in its time and continues to work today. The Coming of the Martians (by H.G. Wells, Nick Scovell; starring Colin Morgan) was released by Sherwood Studios in July 2018. Steve Mollmann is a English professor originally from Cincinnati, Ohio; he currently resides in Tampa, Florida. He primarily studies science and science-fiction in British literature of the nineteenth century to the present. 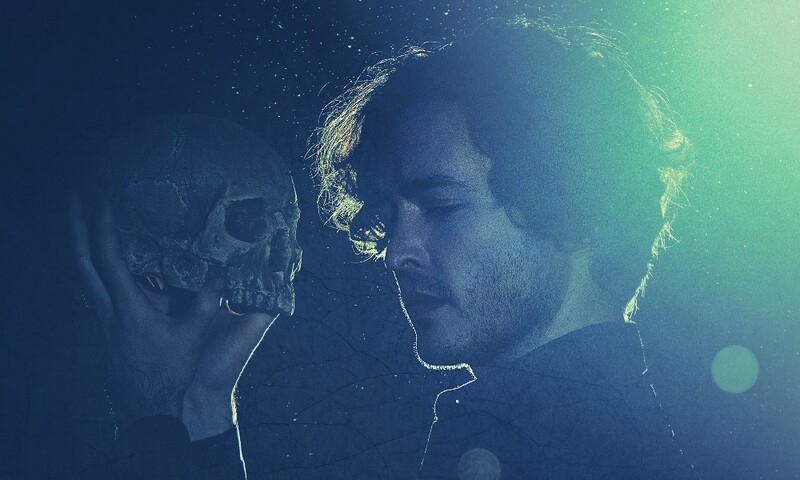 He is currently at work on a book about the scientist as a character in the Victorian novel. He has written and co-written several works of tie-in fiction, including the original series Star Trek novel A Choice of Catastrophes. You can read his thoughts on topics such as comic books, his childhood, Farscape, and the deeply terrible science-fiction of the 1890s at Science's Less Accurate Grandmother.